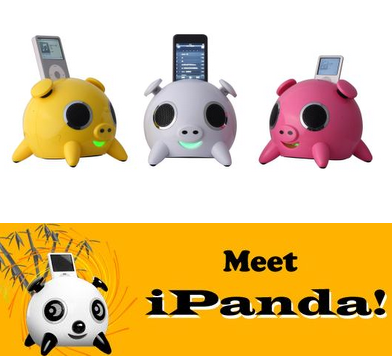 If Old MacDonald had an iPod, he'd probably listen to it on the iPig or the new iPanda docking stations. Cute, but powerful, these spherical docking stations pump out 25 watts of power, are compatible with various mp3 and mp4 players, music devices, gaming consoles and all iPods. They have wireless remotes and are made of green grade "A" eco friendly materials. 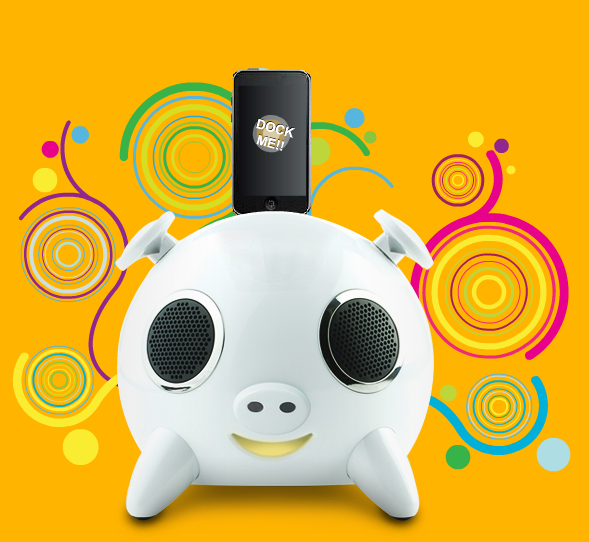 Made by Speakal, the iPig received great acclaim and reviews at the 2007 at the consumer electronics show and now, iPanda has joined his swine friend. • Highly Compatible: The iPig is compatible with most iPod’s, MP3, MP4, Portable Game consoles (PSP, Nintendo DS), Gaming Consoles (PS2, PS3, Wii, Xbox, Xbox360), Portable and non portable CD and DVD players, Televisions, Personal Computers (Desktop and Laptops), Mobile Phones with Audio playing capabilities. 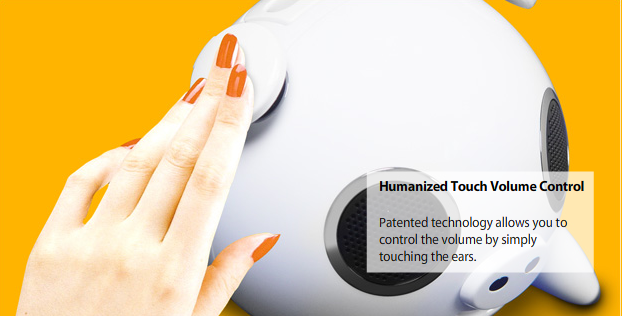 Gently touch the right ear of the iPig to raise the volume and touch the Left one to lower the volume. This patented technology will only react to the human touch and will not be affected by temprature or humidity. 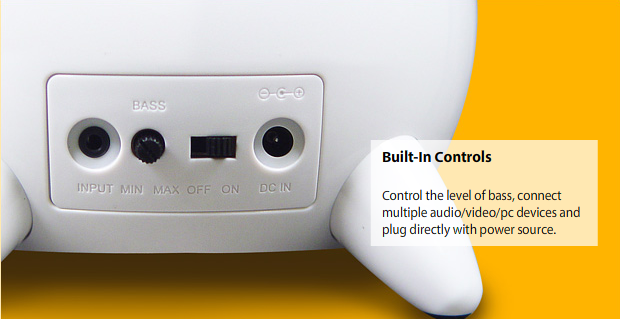 The iPig has a total of 5 speakers including a 4 in. 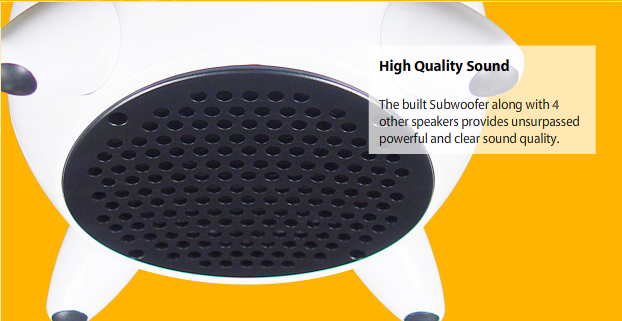 subwoofer, with a total output of over 25 Watts of Raw, Undistorted, Clear Music. It also has a super Hi-Fi Amplifier, an interior dynamic airflow optimizer, and an interior dynamic cooling exchange system with high sound stabilization to produce a clear and powerful sound. • iPOD Docking Station: Compatible with most of iPods. Dock your iPod, charge it and listen to your music without interruption. 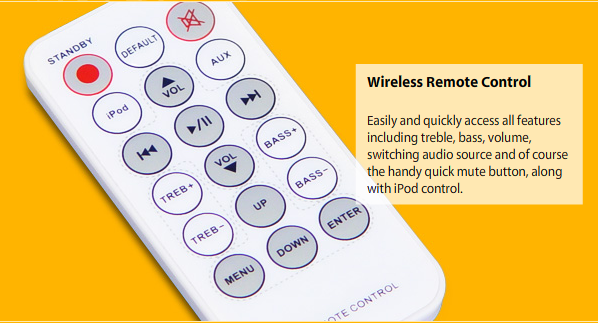 One remote control to browse through the different iPOD features and to control the speakers’ Volume, treble and bass. 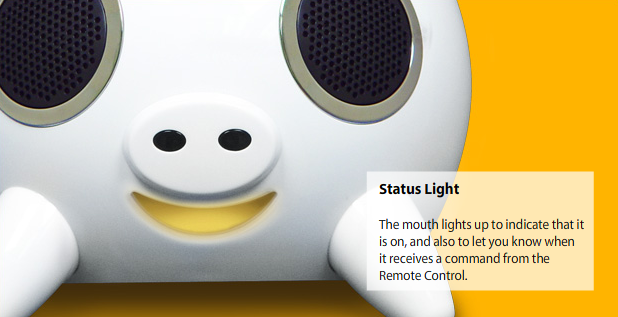 The mouth tells you right away by its light if the iPig is on or off. It also tells you whenever it receives a command from the remote control. • GREEN and RoHS Compliant: The iPig is made of the top grade and environment friendly manufacturing materials. It has no hazardous materials. • Multi Cradles: Fit your iPod with the correct cradle. • Warranty: 1 year manufacture warranty. Warranty terms and conditions apply. 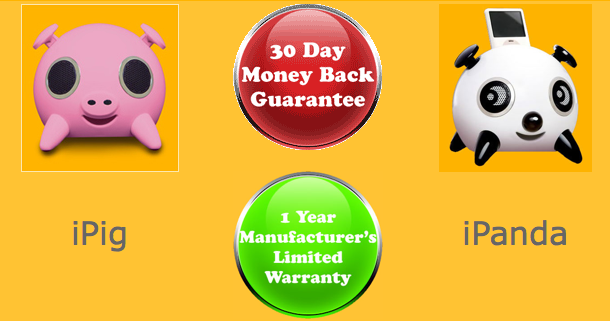 You can buy the iPig or the iPanda here for $129.99 and includes a 90 full days manufacturer’s warranty. Speakal Company specializes in high performance audio solutions. As the sole distributor of Amethyst products in North America, Speakal will continue to provide innovative audio products for years to come. Founded in 2006, Speakal Company is a privately held company based in Culver City, CA. For more information, please visit www.speakal.com. its too qute.will add more beauty in your bedroom and will be perfect for your ipod.really nice.i say its worth buying.